The importance of the outdoor recreation economy in Maine was the subject of a discussion hosted in Portland March 26 by Citizens Bank and the Appalachian Mountain Club. 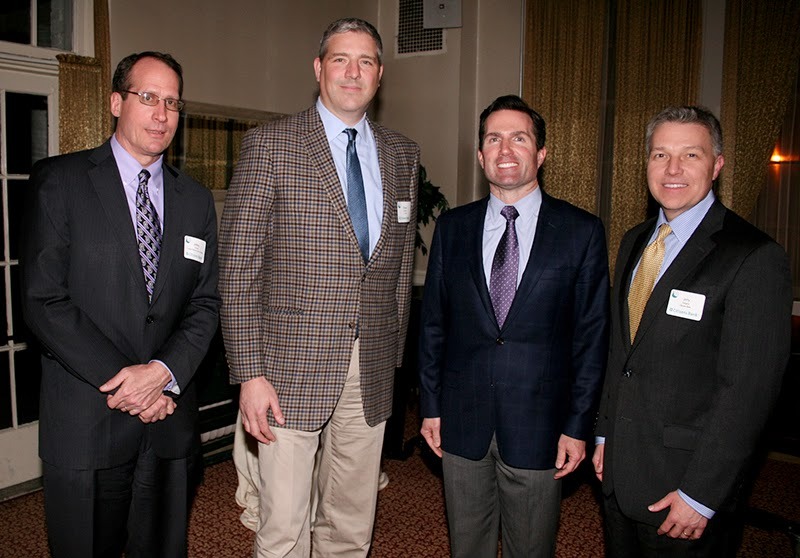 Local business and non-profit leaders participated, and presenters included (from left) Jeffrey C. Fuhrer, Executive Vice President and Senior Policy Advisor for the Federal Reserve Bank of Boston; L.L. 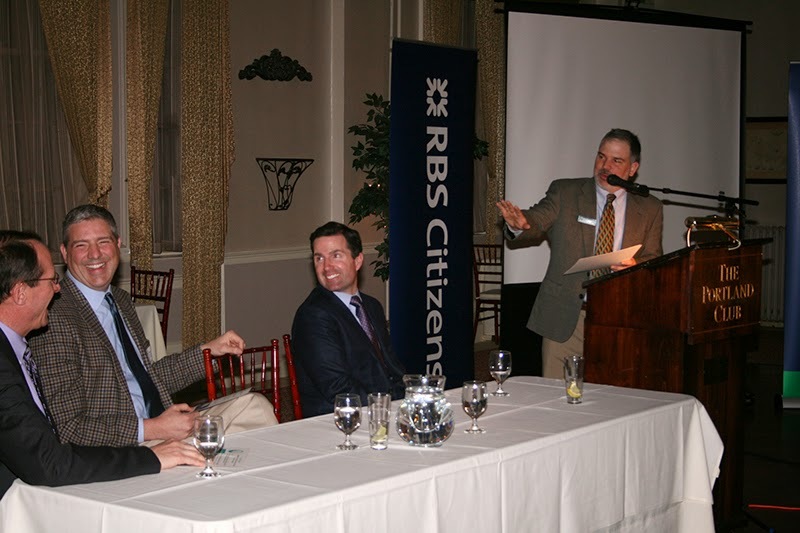 Bean Chairman Shawn Gorman; AMC President and CEO John D. Judge; and Jerry Sargent, President and Regional Executive, Commercial Banking, Citizens Bank. Speakers noted that, according to the Outdoor Industry Association, outdoor recreation in Maine supports $5.3 billion in consumer spending and 65,000 jobs. Jerry Sargent welcomed the gathering, John D. Judge provided details on AMC’s Maine Woods Initiative, and Jeffrey C. Fuhrer addressed economic trends. L.L. Bean Chairman Shawn Gorman spoke of L.L. Bean’s longtime support for AMC’s work and noted that opportunities for outdoor recreation enhance Maine’s economy and quality of life. Presenters included (from left) Jeffrey C. Fuhrer, Executive Vice President and Senior Policy Advisor for the Federal Reserve Bank of Boston; L.L. 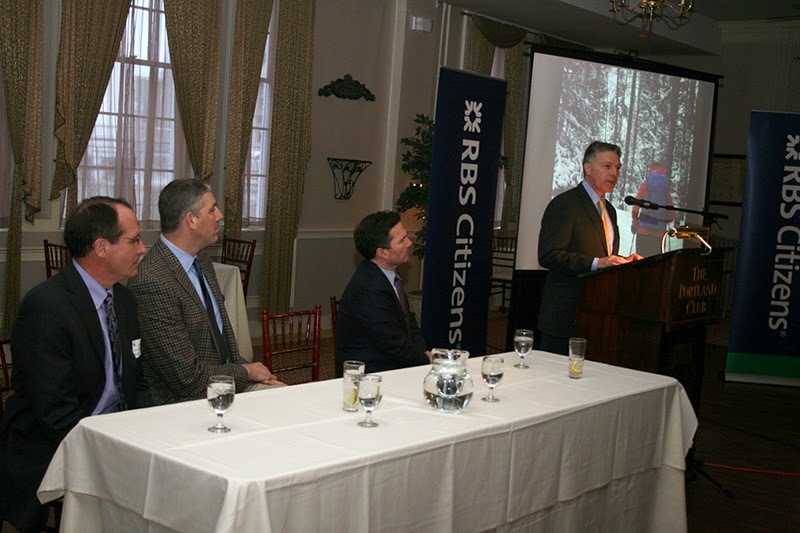 Bean Chairman Shawn Gorman; AMC President and CEO John D. Judge; and Jerry Sargent, President and Regional Executive, Commercial Banking, Citizens Bank. 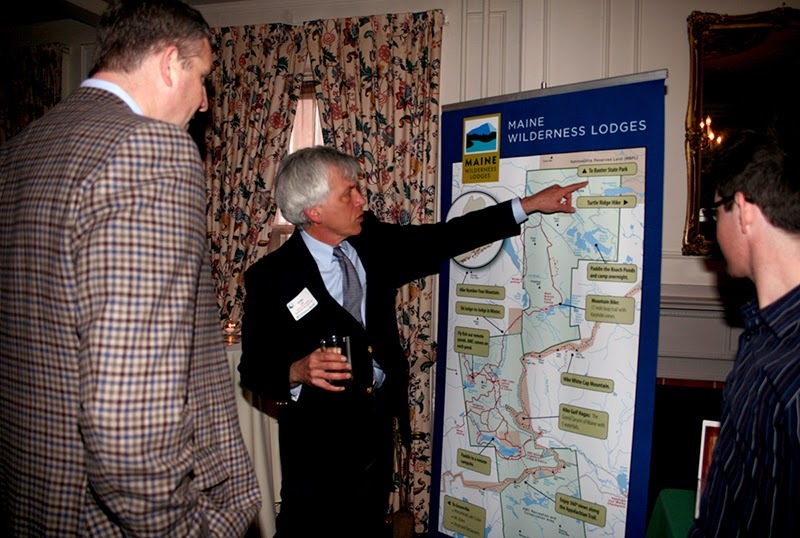 AMC Senior Vice President Walter Graff (center) discusses AMC’s Maine Woods Initiative (MWI) with L.L. Bean Chairman Shawn Gorman (left) and MWI Operations Manager Dan Rinard. Jerry Sargent, President and Regional Executive, Commercial Banking, Citizens Bank, welcomes attendees as featured speakers look on. AMC Maine Policy Director Bryan Wentzell (at podium) talks with featured speakers (from left) Jeffrey C. Fuhrer, Executive Vice President and Senior Policy Advisor for the Federal Reserve Bank of Boston; L.L. Bean Chairman Shawn Gorman, and AMC President and CEO John D. Judge.